Carla L. Garrett, Administrative Law Judge (ALJ), Office of Administrative Hearings (OAH), heard this matter on January 31, February 3, and 4, 2011, in Van Nuys, California. Student’s father (Father), who is an Attorney at Law, and Student’s mother (Mother) (collectively, Parents), represented Student, and attended all three days of hearing. Victoria Kajo, Attorney at Law, who is an associate in Father’s law office, attended a portion of the first day of hearing. 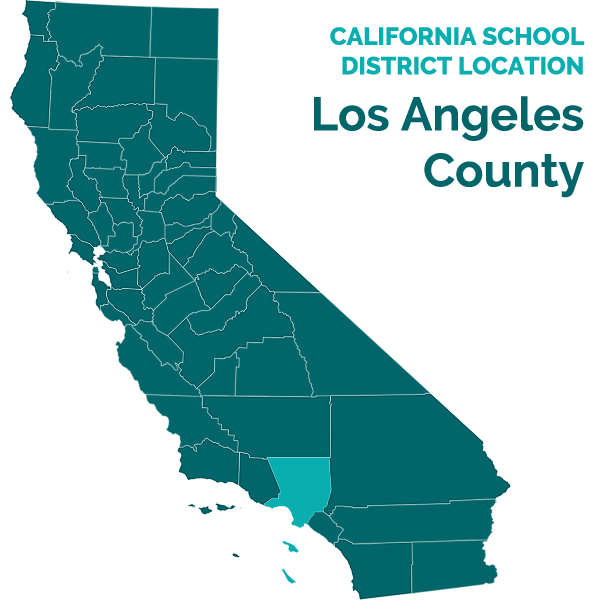 Patrick Balucan, Attorney at Law, represented the Los Angeles Unified School District (District). District representative, Dr. Deborah Neal, Due Process Specialist, attended the first and third days of hearing. Lisa Kendrick, Administrative Coordinator of Due Process, attended the second day of hearing. Rita Turner, paralegal for District, attended all three days of hearing. Student filed his request for due process hearing (complaint) on June 21, 2010. On August 31, 2010, OAH granted Student’s request to amend his complaint, which reset all timelines. On October 5, 2010, for good cause shown, OAH granted the parties’ joint request to continue the due process hearing. On January 31, 2011, on the first day of hearing, ALJ Garrett, for good cause shown, granted Student’s request to continue the second and third days of hearing from February 1, and 2, 2011, respectively, to February 3, and 4, 2011. On February 4, 2011, at the close of the hearing, the parties were granted permission to file written closing arguments by February 18, 2011. Upon receipt of the written closing arguments, the matter was submitted and the record was closed. 1. Did District deny Student a free and appropriate public education (FAPE) in his April 8, 2010 IEP by failing to offer Student a placement in the least restrictive environment? 2. Did District deny Student a FAPE in his April 8, 2010 IEP by failing to offer related services in the form of Lindamood-Bell intervention to address Student’s language and literacy skills issues? 1. Student is an eight-year-old boy, who, at all relevant times, resided in the District, and was eligible for special education under the eligibility category of autistic-like behaviors. 2. Student began attending his home school, Wilbur Elementary School (Wilbur) in preschool, and then matriculated to the Early Education (EE) class at Wilbur when he was five-years-old. Student remained in the EE class for his primary instruction in language arts and in math through first grade; however, District mainstreamed Student into the general education setting for other subjects. 3. For the 2009-2010 school year, when Student was seven-years old, he mainstreamed into a second grade general education classroom, pursuant to an agreed-upon IEP. The IEP provided him with resource support for language arts for 180 minutes per week, and math for 135 minutes per week. The IEP also provided Student with speech and language therapy for 30 minutes per week, occupational therapy for 30 minutes per week, and accommodations and modifications. 4. Student immediately experienced significant difficulty in all academic areas in the general education classroom, as he was unable to complete classroom assignments independently, and required continuous prompting to begin assignments, and to stay on task. He often expressed frustration when working on classroom assignments, as he struggled to understand the curriculum as a result of his reading comprehension challenges. He became distracted easily, had difficulty attending to instruction, rocked severely in his seat, often called out in class, and would leave his seat at inappropriate times. Student, who was bigger and taller than his classmates, also had difficulty understanding social boundaries and protocols, such as invading peer spaces, yelling in his classmates’ ears, bumping into his classmates, pushing past classmates to get to preferred playground activities, and playing unpredictably. 5. On October 28, 2009, one month following the commencement of school, the IEP team met to discuss Student’s placement and services. The IEP team consisted of (1) Mother; (2) Father; (3) Dianne Maddox, District Administrator; (4) Sonya Youtan, second grade general education teacher; (5) Janice Sonski, special education and resource support teacher; and (6) Nicole Vodnoy, Attorney at Law, for Student. Mother requested that Student receive an adult assistant to help Student stay on task when completing class work, and to assist him in developing appropriate social behaviors during unstructured periods. District declined Mother’s request, and instead offered to change Student’s placement to a special day class (SDC), where Student would receive small group instruction in language arts and math. The IEP listed Student’s eligibility as specific learning disability, but noted that Student’s behaviors and academic needs associated with autism required that Student receive extra support and a modified curriculum provided in a structured environment, such as a SDC. However, Student would be mainstreamed into a general education setting during art, music, science, health, physical education, assemblies, recess, and lunch. District members explained at the IEP meeting that a SDC would eliminate the need for an adult assistant, as the SDC consisted of a small group environment, with a smaller student to adult ratio. District also offered a behavior support plan (BSP) to help Student remain on task, and to develop new behavioral skills. Finally, District offered continued occupational therapy for 30 minutes per week, as well as speech and language services for 30 minutes per week. 6. Parents declined District’s placement offer, contending that Student belonged in a general education classroom, with one-on-one behavior intervention services. Parents also maintained that Student required increased speech and language services to address Student’s social pragmatic language needs. Parents consented to the implementation of occupational therapy, and speech and language services, pending the conclusion of informal dispute resolution, mediation, or due process proceedings. 7. On December 9, 2009, Parents filed a due process complaint on Student’s behalf (OAH Case No. 2009120585). 8. On January 14, 2010, District and Student entered into a full and final settlement agreement, where the parties agreed that Student would remain in his general education classroom, and continue to receive resource support services. District would conduct Student’s triennial assessments and hold a triennial IEP meeting earlier than the May 27, 2010 due date. The triennial assessments would consist of (1) a health update; (2) an academic achievement assessment; (3) observations and consultations by an inclusion specialist; (4) a psychoeducational assessment that includes social and emotional assessments; (5) a speech and language assessment; (6) an occupational therapy assessment; and (7) an updated functional behavioral assessment (FBA). The parties also agreed that, until District completed its assessments, District would provide Student with a block of 350 hours of behavior intervention implementation services, and 35 hours of behavior intervention development, to expire on April 30, 2010. In addition, District agreed to provide Student with 60 minutes per week of speech and language services from a non-public agency (NPA). Finally, the settlement agreement provided that Student would waive any and all claims related to, or arising from, his educational program through January 14, 2010. 9. In February 2010, Janice Sonski, special education teacher, who was also Student’s resource support teacher during the 2009-2010 school year, conducted a functional behavior assessment (FBA) of Student, and prepared a report on March 8, 2010. Ms. Sonski provided testimony at hearing. Ms. Sonski has been employed with the District since 1999 as a credentialed resource support teacher, where she is responsible for developing instructional programs for special education students, collaborating with general education teachers, attending IEP meetings, and assessing students. She earned her bachelor’s degree in television and film production in 1977 from Syracuse University, and earned her master’s degree in educational leadership in 2009. Ms. Sonski explained that a FBA is the process of determining the cause of a behavior before developing an intervention. 10. Ms. Sonski focused on three targeted behaviors that Student routinely exhibited at school. One behavior concerned Student’s task refusal and oppositional behavior when feeling overwhelmed or frustrated with classroom assignments. This often resulted in loud protests, arguing, verbal aggression, name-calling, and a lack of work production. A second behavior concerned Student’s transitions inside and outside of the classroom, where Student would spontaneously walk or dart away from the group. The third behavior concerned Student’s inappropriate social interactions, resulting in his invasion of others’ personal space, speaking loudly, yelling at his classmates, mimicking others’ behavior, and an inability to wait his turn. 11. A component of the FBA involved Ms. Sonski interviewing Student’s teachers. Ms. Sonski took into account previous discussions that she had had with Student’s initial second grade teacher, Sonya Youtan, before District laid off Ms. Youtan, due to budgetary issues, at the end of the first semester. Ms. Youtan, who worked with Ms. Sonski to develop strategies in the classroom and during unstructured time, advised Ms. Sonski that Student was frequently disruptive, and was growing increasingly frustrated with his inability to keep up with his class work, despite resource support. He required a significant amount of time to complete simple tasks, and there was no support for him when she worked with other students or with the class as a whole. Student was unable to understand directions, begin a task, or work independently at any time. Student began blurting out, disrupting class, ripping papers, poking other students, banging his head on the desk, or getting out of his chair and walking around. Ms. Youtan also reported that Student had problems in social situations, and would at times scream in another’s student’s face, and would sometimes hit a student inadvertently by running and flapping his arms. 12. Ms. Sonski also interviewed Student’s current second grade teacher, Tooraj Karlin, who reported similar difficulties. Mr. Karlin also advised that Student had great difficulty transitioning from one activity to another, and was prone to act silly at inappropriate times to gain attention from his peers, which sometimes disrupted class. 13. In addition to interviewing Student’s teachers, Ms. Sonski also interviewed Student’s behavioral aide, Ms. Wylie, who began working with Student at the beginning of February 2010. Ms. Wylie, who, at the time of the interview, had been working with Student for a few weeks, immediately noticed that Student had great difficulty in understanding new concepts when presented to the class as a whole. Student could not remain on a task for more than a minute or two, and was reluctant to start a task without support. Student frequently refused to continue a task he perceived to be too difficult. Student’s work production was very low, and required continual clarification, modification, and other strategies to produce work samples. Student, with behavioral aide assistance, was able to sit in small groups, and do highly accommodated, structured, modeled tasks for short bursts of time, but was still very distracted, gave up easily, and preferred to play or do what he wanted instead of his assignments. 14. Ms. Sonski also interviewed inclusion specialist, Nancy Robb, who observed Student on two occasions. Ms. Robb reported that during her first observation, Student was socially appropriate, but required a significant amount of assistance from his behavioral aide to attend to classroom assignments. During her second observation, which first began during a 20-minute physical education session, Student called out insults, inappropriately touched other students, repeatedly invaded others’ personal space, took aggressive stances against other students, and dropped to the ground for no apparent reason. In the classroom, where she observed Student for 20 minutes, Ms. Robb noted that Student repeatedly yelled out, left his area, and engaged in inappropriate social interactions by blowing in his classmates’ faces or taking objects that belonged to others. Ms. Robb also reported that Student repeatedly exhibited task refusal, made noises or inappropriate comments, and tipped his chair multiple times. 15. Ms. Sonski conducted her own observation of Student in three separate settings, each one lasting 15 minutes. In the classroom, she noted that during floor time, when Mr. Karlin was teaching a lesson, Student rocked severely back and forth, bothering the other students around him, blurted out approximately 15 times, and was very inattentive. The second observation occurred at recess, where Student walked away from his behavioral aide to follow his own path to the playground, aggressively acted out killing games, despite warnings not to, and yelled at another student who was not playing in the way Student wanted to play. The third observation occurred in the resource room, during a language arts lesson with three other students. Student fell out of his seat nine times, and blurted out and argued with the teacher 11 times. In addition, Student repeatedly banged his head on the desk, remained off task, played with pencils or other things on his desk, and stared off into space. 16. Ms. Sonski concluded that Student required continuous assistance attending to lessons, to begin tasks, to remain focused on tasks, and not engage in avoidant or disruptive behavior. She noted that Student responded well to visual and verbal prompts, extrinsic rewards, and positive praise, and recommended that Student receive opportunities to practice academic skills throughout the day. In addition, Ms. Sonski recommended structured tasks for Student to complete during a predetermined time, followed by a break and a reward, tomotivate him to work without complaint or falling out of his chair. Also, Ms. Sonski recommended that the classroom teacher send home a behavior chart that included the positive points Student accumulated in a day, so that Student could see his improvement. 17. Ms. Sonski also concluded that Student had no understanding of how his inappropriate behavior, such as invading personal space, and yelling in the ears of his peers, impacted his interpersonal relationships. He also had no awareness of his size and strength, and how his aggressive behavior impacted the safety of others. As such, consequences were of little effect, because Student did not understand why he was in trouble, assuming, instead, that adults were mean. Ms. Sonski also noted that Student demonstrated no awareness of his safety when transitioning from activities inside and outside of the classroom, as he often disregarded rules designed to keep him safe. Ms. Sonski recommended that Student learn new pragmatic language skills during speech therapy sessions, and in practical classroom situations, to help him express his feelings verbally, plan what to say in a conversational exchange, or request assistance. She also recommended that Student receive further assistance in helping him understand the consequences of his aggressive actions, such as developing a rewards system to replace inappropriate behaviors. 18. In addition to conducting an FBA, Ms. Sonski conducted an academic assessment of Student on March 8, 2010, and prepared a report dated March 23, 2010. In preparation for her assessment, Ms. Sonski reviewed Student’s academic history, and noted that academically, Student was able to read at grade level, but could not understand what he read without explicit and repeated explanations. This lack of understanding, and the absence of ability to understand inferences and concepts, impacted Student’s performance across all academic content areas. Student could add and subtract, and perform computations, but could not apply these skills in practical applications, or understand word problems. Student required modeling and support to solve more complex problems. Overall, Student performed below his peers. 19. Ms. Sonski administered the Kaufman Test of Educational Achievement II (KTEA-II), which is a test used to assess the academic achievement of students ages four to 25. The KTEA-II is a standardized, norm-based, criterion referenced test, comprised of reading, math, and written expression domains. A subject’s scores could either fall within the upper extreme, above average, average, below average, or lower extreme instructional ranges. In the areas of letter and word recognition, and reading comprehension, Student performed in the below average range. In the area of math concepts and applications, Student scored in the lower extreme instructional range, while in math computation, he scored in the average instructional range. In the areas of written expression, and spelling, Student scored in the below average range. In the areas of listening comprehension, and oral expression, Student scored in the lower extreme instructional range. In the area of phonological awareness, Student scored in the below average range. In the area of nonsense word decoding, Student scored in the average range, while in associational fluency, he scored in the lower extreme instructional range. In the area of naming facility, Student scored in the average range. Overall, Ms. Sonski reported that Student’s comprehensive achievement composite score was below average, which was consistent with Student’s classroom performance. 20. Ms. Sonski concluded that Student needed more support than a general education class with resource support. Rather, Student needed an individualized and adapted curriculum, as well as continuous supervision for both safety and academic support. Ms. Sonski’s report included two options for the IEP team to consider. The first, and her preferred, option was to place Student in a SDC for students with autism, where Student could receive academic and social support in a single classroom, while also mainstreaming into general education for other areas as appropriate. The second option involved providing full time, in class, collaborative resource support. Ms. Sonski stated in her report that she did not believe that the second option would be as effective, since the majority of Student’s instruction would be at the pace of the general education class, and Student would be held to the same benchmarks and pacing as the other general education students. Finally, Ms. Sonski recommended that Student receive behavior support to address social and safety issues, regardless of the placement. 21. On March 15, 2010, school psychologist, Joseph Vanek, conducted a psychoeducational assessment of Student and prepared a report. In preparation for his assessment, Mr. Vanek reviewed Student’s developmental history, medical history, home and community history, educational history, and previous assessment reports. Mr. Vanek, who provided testimony at hearing, also observed Student in his general education classroom, in his resource support classroom, and during recess. Mr. Vanek has been employed as a credentialed school psychologist with the District for 22 years. Prior to that, Mr. Vanek worked for the state Department of Mental Health for 10 years, and for the county Department of Mental Health for two years. Mr. Vanek earned his bachelor’s degree in sociology and psychology in 1972 from California State University at Northridge, and earned his master’s degree in social work in 1975 from the University of Southern California. As a school psychologist, Mr. Vanek is responsible for providing counseling services, consulting with teachers, attending IEP meetings, and conducting psychoeducational assessments. 22. During his observation of Student in his general education classroom, Mr. Vanek noted there were 21 or 22 children in Student’s class, and observed Student sitting with the other students on the carpet. Student appeared to listen to the lesson, and raised his hand to ask a question. Mr. Vanek explained that when Student was supposed to transition back to his seat, he wandered a little, stopped to talk to a classmate, and had to be redirected to take his seat. When Student was supposed to begin working on his class assignment, he sat looking around the room, until his teacher prompted him to write his name on his assignment. Thereafter, he raised his hand, asked the teacher for help, and after the teacher helped him, Student worked for a minute, but then started looking around the room again. When Student’s behavioral aide entered the room, Student immediately asked for her help. Mr. Vanek noted that Student had a lot of difficulty maintaining his attention, and required a lot of assistance to complete tasks. He also had trouble keeping still in his seat. Student would rock back and forth, fidget, and repeatedly get up from his seat at inappropriate times. When the class returned to the carpet, Mr. Vanek observed that Student plopped down after squeezing into his space up front, bumping into others, and had difficulty sitting still. When the teacher asked the class to return to their seats, Student got up, lunged, and fell into another student’s seat. 23. Immediately after the classroom observation, Mr. Vanek observed Student during recess, and noted that Student ate his food quietly at first, but then stood up, leaned into a boy, and yelled at another boy sitting across from him, although Student did not seem angry. The behavioral aide intervened, and counseled Student about getting too close and too loud. Mr. Vanek explained that Student demonstrated significant difficulty with social conventions and space boundaries. 24. Mr. Vanek observed Student in his resource class during a lesson on fractions. The teacher was using manipulatives, but Student was not cooperative. He displayed a lot of movement, played with the manipulatives, made noises, and echoed what other students said. Mr. Vanek explained that Student appeared frustrated with the fractions assignment. 25. Finally, Mr. Vanek observed him the following week in his general education classroom again, where Student was transitioning to the carpet for music class. Student participated, but there was a lot of movement, and restlessness. Student blurted out once, but he responded to his teacher’s general correction. At one time, Student started to take off his shirt, but his behavioral aide corrected him. 26. Mr. Vanek administered the following tests: (1) Cognitive Assessment System; (2) Bender-Gestalt Test; (3) Motor-Free Visual Perception Test-3; (4) Visual Aural Digit Span Test; (5) Draw-A-Person/Body; (6) Sentence Completion; (7) Beery Test of Visual Motor Integration (5th); (8) Behavior Assessment System for Children (Mother); (9) Behavior Assessment System for Children (Teacher); (10) Gilliam Autism Rating Scale (Mother); (11) Gilliam Autism Rating Scale (Teacher); (12) Teacher Interview; and (13) Parent Interview. 27. Mr. Vanek explained that the Cognitive Assessment System (CAS) is an individually administered test designed to measure intelligence as a group of cognitive processes. It is based on the premise that human cognitive functioning includes planning, attention, simultaneous processing, and successive processing. On the planning subsets of the CAS, entitled Matching Numbers and Planned Codes, which measured Student’s ability to create a plan of action, apply the plan, and make modifications as needed, Student scored in the average range. On the attention subsets, entitled Expressive Attention and Number Detection, which required Student to focus on a cognitive activity, detect a particular stimulus, and inhibit responses to irrelevant, competing stimuli, Student scored in the average range. On the simultaneous subtests, entitled Nonverbal Matrices and Verbal-Spatial Relations, which measured Student’s ability to relate parts into a group or whole, understand relationships among pictures and words, and work with spatial relationships, Student scored in the below average range. On the successive processing subtests, entitled Word Series and Sentence Repetition, which required Student to process information presented in a specific order, Student scored in the low average range. 28. Student’s full scale score, which ranked Student’s overall performance on the CAS, showed that Student performed in the low average range. Student functioned better on tasks involving planning, attention, and auditory memory. Mr. Vanek concluded that, overall, Student’s auditory processing skills were fair, even given Student’s weak performance on the successive processing subtest of the CAS. However, Student’s visual processing skills were very weak. Mr. Vanek confirmed Student’s weak visual processing skills by comparing his scores on the Motor-Free Visual Perception Test-3, which measured Student’s overall visual perceptual ability without motor involvement. The test showed Student performing at an age equivalent of six years, two months. Similarly, Mr. Vanek confirmed Student’s weak visual memory by comparing his scores on the Visual Aural Digit Span Test, which measured Student’s short term memory, showing Student scoring in the 25th percentile. 29. In the area of visual motor integration, Student exhibited mixed ability, scoring in the fifth percentile on the Bender-Gestalt, which measured visual-motor maturity, and in the 25th percentile on the Beery Test of Visual Motor Integration, which measured Student’s visual construction skills. Mr. Vanek opined that the difference between the two scores may have been due to the highly structured nature of the Beery Test of Visual Motor Integration, eliminating Student’s impulsive, and disorganized, approach to test-taking, as he exhibited with the Bender-Gestalt. At hearing, Mr. Vanek explained that, overall, Student’s cognitive scores suggested that Student would require more help in keeping up with his assignments, particularly on tasks with visual requirements like math, and would need to rely more on an auditory approach, which could be difficult, given Student’s challenge in maintaining his attention. 30. Mr. Vanek assessed Student’s social-emotional functioning by distributing Behavior Assessment System for Children (BASC) rating scales to Student’s teacher, Mr. Karlin, and to Parents. Mr. Vanek explained that the BASC is an instrument designed to evaluate the behavior and emotions of preschool through college age individuals. The teacher rating scales required ratings on 138 behaviors, which yielded composite scores in externalizing problems, internalizing problems, and school problems. In the area of externalizing problems, Student scored in the 95th percentile, which was in the at-risk range for hyperactivity, aggression, and conduct problems. “At-risk” meant that Student could develop clinically significant behavior (i.e., behavior suggesting a high level of maladjustment). Mr. Karlin advised that Student often argued, talked back, disobeyed, was overly active, and had trouble remaining in his seat. 31. In the area of internalizing problems, which measured anxiety, depression, and somatization, Student scored in the average range. However, Student scored in the at-risk range for withdrawal, as Student often played alone, refused to join in, and failed to make friends easily. In the area of school problems, which measured attention and learning problems, Student scored in the 93rd percentile, which was in the at-risk range. Mr. Karlin reported that Student had a short attention span, was easily distracted, forgot things, and had trouble keeping up in class. Mr. Karlin also rated Student’s adaptive skills in the at-risk range, concerning Student’s leadership, social, and study skills, as well as functional communication. Mr. Karlin advised that Student was sometimes stubborn, never a good sport, never interested in others’ ideas, and was not well organized. 32. Mother completed the BASC parent rating scale. Mother rated Student in the 88th percentile for externalizing problems, which was in the at-risk range. Student scored in the average range for conduct problems and aggression, but in the at-risk range for hyperactivity. Mother reported that Student often interrupted, acted out of control, and was overly active. For internalizing problems, Mother rated Student in the 98th percentile, which was in the clinically significant range. Although Student scored in the average range for somatization, he scored in the clinically significant range for anxiety and depression. Mother advised that Student often worried, said “I’m not good at this,” “It’s all my fault,” got upset easily, complained about being teased, complained about not having friends, and said “I hate myself.” Mother also rated Student in the clinically significant range for atypicality, and in the at-risk range for withdrawal and attention problems. Mother reported that Student often babbled to himself, seemed out of touch with reality, had a short attention span, was easily distracted, avoided competing with others, and was chosen last for games. Mother rated him in the average range for leadership and social skills, and in activities for daily living, but in the clinically significant range for functional communication. Finally, Mother rated Student in the at-risk range for adaptability. 33. Mr. Vanek also distributed Gilliam Autism Rating Scales (GARS) to Mr. Karlin, and to Parents. The GARS is an instrument designed to assist in the identification and diagnosis of individuals with autism, and to assess the severity of the disorder. Mr. Karlin rated Student in the “possibly” range for autism, and in the “very likely” range in the areas of communication and social interaction. Mr. Karlin reported that many of Student’s interactions with his peers were negative. Student often took things belonging to his peers, without asking permission first. He sometimes responded to simple commands inappropriately, avoided looking at the speaker, and babbled repeatedly. Student withdrew much of the time, and often became upset when routines were changed. 34. Mother completed the GARS parent rating scale, and rated Student in the “very likely” range for autism. Mother reported that Student was a picky eater, rocked back and forth, and made lunging or darting movements. In the area of communication, Mother advised that Student responded inappropriately to simple commands, answered questions inappropriately, used the word “I” and other pronouns inappropriately, and babbled. In the area of social interaction, Mother reported that Student tended to look through people, became upset when plans were changed, lined up objects, laughed or cried inappropriately, repeated actions, withdrew from others, and remained aloof. Student tended to ignore nonverbal gestures, had trouble modulating his voice, difficulty carrying on a conversation, invaded others’ personal space, and used physical means to communicate, rather than verbal means. 35. Mr. Vanek concluded that Student’s symptoms were indicative of autistic-like behaviors. Because of Student’s disorder, Mr. Vanek surmised that Student had difficulty working in groups, following directions, and cooperating with classroom assignments. Student’s behavior was much more appropriate when he did not perceive the tasks as challenging. Student’s silly, disruptive, and refusal behaviors were rooted in Student’s avoidance of challenging tasks. In addition, Student’s problems with self-regulation negatively impacted his relationship with his peers. Mr. Vanek concluded that an eligibility of autistic-like behaviors was the most appropriate, and recommended that Student attend a SDC where there were fewer pupils, and limited distractions. Mr. Vanek advised that a SDC could provide Student with additional academic support, as well as stress social skills development. Mr. Vanek also recommended a comprehensive BSP, and suggested various strategies to assist Student in behaving in appropriate ways (i.e., develop reward systems, create opportunities for appropriate behavior, mix high and low interest tasks, provide study breaks, and provide a model of play). 36. In March 2010, Janet Woodbury, a special education assistant, began providing Student with one-on-one aide services. Her shift with Student began at the end of the lunch period, and ended at the close of the school day. Ms. Woodberry, who testified at hearing, has been a special education assistant with the District for over 15 years. She received her bachelor’s degree in liberal studies from California State University at Northridge, but holds no licenses or credentials. Her duties as a special education assistant include keeping a student on task, providing social help on the playground, and providing overall support to address the needs of the child. Ms. Woodberry explained that Student had a lot of behavioral problems, resulting in Student spending a lot of time in the principal’s office. Often, she would have to pick up Student from the principal’s office when her shift began, as Student had usually gotten into trouble during the lunch period. In the classroom, Student had a difficult time concentrating, and needed a great deal of support to complete his assignments. She would often have to prompt him or redirect him to encourage him to stay focused on a task, and would often have to re-explain lessons immediately following the instruction his teacher had already given. In addition, Student had difficulty comprehending things he had read. Student also had great difficulty in math, particularly math involving word problems. 37. On April 8, 2010, the IEP team met to discuss Student’s assessments. The IEP team consisted of (1) Mother; (2) Father; (3) Dianne Maddox, District Administrator; (4) Mr. Karlin, second grade general education teacher; (5) Ms. Sonski, special education and resource support teacher; (6) Mr. Vanek, school psychologist; (7) Sue Weiss, speech and language therapist; (8) Annie Tharp, OT; and (9) Nicole Borkgren from Speech Language and Educational Associates. Mr. Vanek and Ms. Sonski presented their reports. The team acknowledged Student’s eligibility category of autistic-like behaviors, and developed academic goals in the areas of reading comprehension, word analysis, writing, and mathematics, as well as behavioral, speech and language, and OT goals. District members then offered Student a placement in a SDC designed for individuals with autism, at Calvert Elementary School (Calvert), a District non-residence school. Student would remain in the Calvert SDC for all core subjects, approximately 63% of his school week, and then mainstream into the general education setting for recess, lunch, assemblies, music, art, and field trips. Student would receive, among other things, small group and one-on-one instruction, his curriculum presented at a slower pace, repetition, extended deadlines, visual cueing, social behavior modeling, manipulatives, and graphic organizers. 38. District also offered Student two hours of speech and language services per week, 120 minutes of OT per month, and a BSP. District also offered extended school year (ESY) for summer 2010, although the IEP failed to include a checked “yes” box under the category entitled ESY. The IEP did, however, include language indicating that District would provide ESY transportation, and that District would also provide speech and language, and OT services during ESY. 39. Assistant Principal Elementary Instruction Specialist (APEIS), Marilyn Fills, provided testimony at hearing. Ms. Fills earned a bachelor’s degree from Boston University in 1971, and received her master’s degree in teaching and reading in 2000 from National University. She holds administration, general education, and special education credentials. Ms. Fills has been employed with the District for 30 years, six years as an APEIS, and prior, as a program specialist, where she worked directly with parents, teachers, students, service providers, and IEP teams. As an APEIS, Ms. Fills supports special education programs and instruction, and works with IEP teams to establish appropriate placements and services for students with special needs. In that capacity, she has become very familiar with the Calvert SDC for autistic children, as she has placed other students in that particular SDC. The Calvert SDC, at the time of the April 2010 IEP, had seven students, and three adults (i.e, a special education teacher, an assistant, and a behaviorist), and currently has six students. It is a small group setting for high-functioning autistic children, who have difficulty with pragmatics, social skills, and academics. The class is designed for students to work on the same core curriculum as the general education class, but with modifications and accommodations. Behaviorally, there are interventions, such as charts, schedules, rewards, reinforcement of positive behavior, role playing, daily logs, and other activities to learn social boundaries and protocols. 40. At hearing, Mr. Vanek explained that he agreed with the SDC placement offer, as Student requires a setting with less external stimuli, and with more individualized classroom material than that found in a general education setting. Mr. Vanek believes that the SDC is the least restrictive placement, because Student requires a smaller environment to address his academic and behavior needs, with increased staff to implement strategies to increase Student’s academic and behavioral success. Specifically, Student could learn to attend and listen better in a small environment, than in a general education setting that has more distractions. In addition, a smaller environment would be more conducive to Student developing skills to manage his disruptive behaviors, as well as his frustration when required to complete non-preferred tasks. Mr. Vanek also agreed with Student being mainstreamed during a third of his day, as set forth in the IEP, to help him practice the behavioral and social skills he develops in the SDC. Eventually, as Mr. Vanek explained, Student may be able to move into a full-time general education setting after demonstrating significant improvement remediating his attention, academic, and behavioral issues. 41. At hearing, Ms. Sonski explained that, based on her academic assessment, Student’s greatest area of weakness was reading comprehension, which affected Student’s oral and written expression, as well as his ability to follow instructions, and complete math problems. Also, based on her FBA assessment, Student required significant behavioral intervention to address his disruptive and socially inappropriate behavior. As such, Ms. Sonski agreed with the District’s offer of a SDC placement for Student, explaining that Student required more support than a general education setting could provide. Specifically, Student required a small group environment where Student could effectively learn an individualized curriculum, which could be provided in a SDC. In addition, Student could be more closely supervised in a SDC setting, addressing safety issues, as well as providing required academic support. Moreover, Student could receive a slower pace in instruction in a SDC, presented at his ability level, as well as small group and one-on-one instruction. Finally, due to the high teacher to student ratio, Student could receive consistent behavior support to address social and safety issues. 42. At hearing, Mother provided testimony, and explained that immediately following the April 8, 2010 IEP meeting, she visited the Calvert SDC. Mother noted that Student would have been the only second grader in the class, as the class was comprised of kindergarteners and first graders. As such, Mother concluded that Student would have regressed academically, given the slower pace of that particular class. In addition, Student would have emulated the undesirable behaviors of the other students in the SDC, as opposed to behaviors exhibited by typically developing peers, as Student would have experienced in a general education classroom. Mother expressed her belief that since Student has been in a general education classroom, his behavior has improved as a result of Student imitating the behavior of his general education classmates, whom he considers role models. Mother explained that she wants Student to remain in the general education class at Wilbur, because Wilbur is Student’s home school, Student has made friends there, Student has progressed a lot since being there, and Mother believes that placing Student in a special education class would be counterproductive. 43. On April 13, 2010, Parents declined District’s placement offer, but consented to the implementation of occupational therapy, speech and language services, and ESY pending the conclusion of informal dispute resolution, mediation, or due process proceedings. 44. At hearing, Mother explained that she was not aware that District offered ESY services for summer 2010, because the IEP was not clear that District would be providing ESY services, she had not received a letter confirming the provision of ESY services for Student as she had in previous years, and because it was her impression that due to budgetary issues, District would not be providing ESY services during summer 2010. As such, she explored other academic summer programs to help Student with his academic challenges. She discovered Lindamood-Bell Learning Centers (Lindamood-Bell) in Westwood, which was an organization that provided individualized instruction to children and adults with reading difficulties, comprehension issues, and sensory-cognitive disorders. Mother enrolled Student in a 12 week program at Lindamood-Bell, where Student received 152 hours of one-on-one instruction, from June 23, 2010 to August 31, 2010. 45. On June 23, 2010, Lindamood-Bell conducted a pretest designed to assess Student’s academic skills, and conducted a retest on August 31, 2010 to assess Student’s skills after Lindamood-Bell’s intervention. On the pretest, Student scored in the first percentile in the Peabody Picture Vocabulary Test-IV, and scored in the fifth percentile on the retest. On the Detroit Tests of Learning Aptitude-4 for word opposites, Student scored in less than the first percentile on the pretest, and in the ninth percentile on the retest. On the subset for verbal absurdities, Student scored in the age equivalent range of five years, nine months, on the pretest, and in the seven year range on the retest. On the subset for oral directions, Student scored in less than the first percentile on the pretest, and scored in the second percentile on the retest. On the Woodcock Reading Mastery Test, Student scored in the 25th percentile on the pretest, and in the 31st percentile on the retest. On the Slosson Oral Reading Test, Student scored in the 33rd percentile on the pretest, and in the 38th percentile on the retest. 46. Lindamood-Bell also administered the Wide Range Achievement Test-4, on which Student scored in the 18th percentile on the pretest for spelling, and in the 13th percentile on the retest, in the 39th percentile on the pretest for math computation, and in the 47th percentile on the retest. On the Gray Oral Reading Test for paragraph reading, Student scored in the mid-first grade range on the pretest, and in the upper first grade range on the retest. On the subsets for rate and accuracy, Student scored in the 63rd percentile, and in the second percentile, respectively, on the pretest, and in the 25th and 16th percentiles, respectively, on the retest. On the subset for fluency and comprehension, Student scored in the 16th percentile in both areas on the pretest, and in the second percentile, and in the 37th percentile, respectively, on the retest. 47. In the Lindamood Auditory Conceptualization Test-3, Student did not attempt the pretest, and scored in the 14th percentile on the retest. On the Informal Tests of Writing, Student scored 30 out of 50 correct on the pretest on the symbol to sound subtest, and 32 out of 50 correct on the retest. On the subtest for nonsense spelling, Student scored one out of three correct on both the pretest and the retest. Finally, on the Symbol Imagery Test, Student scored in the first percentile on the pretest, and in the eighth percentile on the retest. 48. Don Yoczik, Associate Center Director of Lindamood-Bell in Westwood, reviewed Student’s performance on the pretest and retest. Mr. Yoczik, who provided testimony at hearing, earned a bachelor’s degree from the University of Hartford, but held no licenses or teaching credentials. Mr. Yoczik explained that, although he did not conduct Student’s pretest or retest, he could tell from reviewing the results that Student had made significant progress at Lindamood-Bell. Specifically, Student demonstrated more ability to be aware of his concept imagery, and apply it to his learning. Mr. Yoczik concluded that Student would benefit from further instruction, and recommended that Student return to Lindamood-Bell for 160-200 hours of additional instruction, four hours a day, five days a week. Specifically, Mr. Yoczik recommended Lindamood-Bell’s Visualizing and Verbalizing for Language Comprehension and Thinking program to support Student’s development of oral vocabulary, oral language comprehension, reading comprehension, written language expression, ability to follow directions, and critical and analytical thinking. Mr. Yoczik also recommended the Seeing Stars program to support Student’s development of phonological and orthographic awareness, word attack, word recognition, spelling, contextual reading, and reading comprehension. 49. Parents paid Lindamood-Bell a total of $15,343 for services provided to Student from June 23, 2010 to August 31, 2010. 50. When Student began third grade in September 2010, he was placed in the general education classroom because parents had not agreed to implement the offered SDC placement. Nir Barkan was the teacher, and Ms. Woodberry provided Student with one-onone aide services during the majority of Student’s school day. 51. In December 2010, District reassigned Ms. Woodberry to a new school. Thereafter, a new aide began providing services to Student for one hour a day. 52. In January 2011, Mr. Barkan, issued report cards describing students’ performance during the first semester of the 2010-2011 school year. Student’s report card showed that he was proficient in history, science, physical education, and art. Student was partially proficient in reading, writing, listening, speaking, mathematics, and health education. Student’s scores for effort showed that Student demonstrated consistent effort in all of his subjects, except for writing, where he demonstrated inconsistent effort. In work and study habits, Student showed consistent effort organizing his materials, completing his homework on time, and making good use of his time. He showed inconsistent effort in working independently, and presenting neat and careful work. In learning and social skills, Student showed consistent effort in following directions and procedures, as well as demonstrating fair play. He showed inconsistent effort accepting and respecting authority, cooperating well in group situations, showing dependability, taking responsibility, exercising self-control, resolving conflicts appropriately, and demonstrating appropriate social interaction with peers. 53. Mr. Barkan, who testified at hearing, is a credentialed general education teacher who has worked for the District for 12 years. Mr. Barkan earned his bachelor’s degree in English in 1994 from California State University at Northridge, and his master’s degree in education administration in 2004. Since Student has been in his third grade class, he has progressed slightly, but he is not on grade level. Specifically, Student is at least one grade level below where he should be as a third grader. Mr. Barkan modifies Student’s assignments, gives Student extra time on exams, and gives Student flexible due dates. He spends extra time with Student by giving him, on average, 20-30 minutes of individualized instruction per day. No other student in his class requires as much individualized instruction. Student’s partial proficiency in reading, writing, listening, speaking, mathematics, and health education are a result of the individualized instruction he gives to Student in the classroom. Mr. Barkan explained that the level of attention he provides Student takes away from the attention he needs to give the other students in his class. 54. Mr. Barkan explained that behaviorally, Student will occasionally do something unsafe, such as stick his pen down his throat, pick up chairs, and walk rapidly across the room for no apparent reason. Socially, Student does not understand social boundaries, sometimes hugging his classmates with both arms, and lifting them up, despite his classmates’ protests. 55. Mr. Barkan believes Student should be placed in a SDC, as Student requires a small environment, with more than 20-30 minutes a day of individualized instruction than he can provide. In addition, a SDC would provide Student with more supervision and behavior intervention services by people qualified to provide those services. 56. Mother believes Student’s work performance improved significantly since his second grade year, partly due to the intensive academic instruction he received at Lindamood-Bell during the summer. Student completed several reading comprehension class assignments, where Student received high scores, and Student did exceptionally well in spelling. However, Mother believes Student still needs to make improvement in his academics, especially reading comprehension. 57. Science specialist, Marsha Lagardere, provided testimony at hearing. Ms. Lagardere is not employed with the District, but rather by Wilbur’s booster club. Ms. Lagardere explained that she is not a science teacher, as science teachers are generally assigned to middle schools and high schools. Rather, Ms. Lagardere’s role is to support the science concepts taught by elementary school teachers by giving students an opportunity to participate in hands-on projects. When Student was in second grade, Ms. Lagardere provided weekly, 40 minute instructional science sessions to Student’s class, and at the time of hearing she provided two, 30 minute sessions to Student’s third grade class. When Student was in second grade, she noted that Student had difficulty focusing, had a short attention span, was disruptive, often called out in class, had difficulty staying seated and keeping still. She has noticed some improvement since Student began third grade. Specifically, Student seems more interested in the material, and does especially well when there is an adult nearby to direct his attention, and help him stay focused. 58. On January 26, 2011, Patricia Andre, Religious Education Coordinator of Saint Mel Catholic Church, at the behest of Mother, sent District a letter offering input regarding Student’s behavior in their weekly, one hour, religious education classes. Ms. Andre described the classroom setting as structured, containing 13 other students of various backgrounds and abilities. Ms. Andre reported that during the 2009-2010 school year, Student had many behavior problems. However, since the beginning of classes in October 2010, Ms. Andre observed marked improvement in Student’s behavior. Student has been able to participate in class without constantly interrupting the teacher or disturbing other students, and has been able to remain on task much of the time without redirection. In Ms. Andre’s opinion, Student has accomplished both written and oral tasks with good effort, and his social skills and peer interactions have improved. Ms. Andre reported that Student has been able to play and share without frustration or negative outcomes. 59. On January 27, 2011, Ms. Woodberry, at the behest of Mother, sent Mother an email stating that Student improved tremendously academically and behaviorally. Specifically, Ms. Woodberry stated that, since his third grade year, Student was better able to stay on task, complete his assignments, try hard, and do his best work, than his second grade year. Ms. Woodberry also stated that Student was able to focus better in the classroom, and exhibit positive behavior. 2. In Issue One, Student contends that District’s offer of a SDC placement in his April 8, 2010 was inappropriate, given the improvements he has made academically, behaviorally, and socially, in the general education classroom since the April 8, 2010 IEP meeting. Student contends that the class work he has completed since the commencement of his third grade year (2010-2011 school year) evidences a marked improvement than in the class work he produced during his second grade year (2009-2010 school year). Part of this success, Student contends, is due to the Lindamood-Bell intervention he received in summer 2010, which resulted in significant academic improvement, evidenced by Student’s performance on his Lindamood-Bell retest. In addition, Ms. Woodbury and the science specialist, Ms. Lagardere, both noticed a significant improvement in Student’s performance academically and behaviorally compared to his second grade year. Also, Ms. Andre, Student’s religious education teacher, noticed a marked improvement in his behavior. Moreover, as evidenced by Student’s report card prepared by his third grade teacher, Mr. Barkan, Student is proficient in a number of subjects. Consequently, Student asserts that a more appropriate placement would have been the general education setting with one-on-one behavioral support. Furthermore, Student asserts that the SDC class at Calvert would not have served Student well, as Student was bigger and older than the students in the Calvert SDC, and would have emulated bad behavior exhibited by the other students. Student also asserts he would have regressed given the slow pace of the Calvert SDC. Finally, in Issue Two, Student contends that District should have offered him related services in the form of Lindamood-Bell intervention to help remediate Student’s reading comprehension issues, and is seeking reimbursement for the $15,343 Parents paid Lindamood-Bell.1 District disagrees, and contends that at the time of the IEP team meeting it offered Student an appropriate placement and services in the least restrictive environment, given Student’s academic, behavior, and social challenges. 1 At hearing, as well as in his closing brief, Student claimed that he was entitled to reimbursement for Lindamood-Bell’s services because District failed to offer Student an ESY program for summer 2010. However, Student made no such allegation in either his initial or amended due process complaints. Student’s revision of the issues is governed by the rule that “the party requesting the due process hearing shall not be allowed to raise issues at the due process hearing that were not raised in the [Complaint], unless the party agrees otherwise.” (20 U.S.C. § 1415(f)(3)(B); Ed. Code, § 56502, subd. (i).) The parties filed no stipulations indicating District would waive any notice requirements. Accordingly, consistent with the IDEA’s notice requirements, the ALJ determines that the argument concerning ESY services made by Student at hearing and in his closing brief are outside the scope of the hearing, and are, therefore, not considered. 12. Here, contrary to Student’s assertion, a full-time general education placement was not the least restrictive placement for Student, given his unique needs. Overall, a determination of whether a district has placed a pupil in the least restrictive environment involves the analysis of four factors: (1) the educational benefits to the child of placement full time in a regular class; (2) the non-academic benefits to the child of such placement; (3) the effect the disabled child will have on the teacher and children in the regular class; and (4) the costs of mainstreaming the child. (See Rachel H., supra, 14 F.3d at p. 1404.) Regarding the first factor, the evidence clearly established that Student had not been successful academically in the general education setting, even with modifications and accommodations. At the time of the April 8, 2010 IEP, based on the credible testimony of special education teacher, Ms. Sonski, and school psychologist, Mr. Vanek, Student’s assessment results demonstrated that Student performed academically at a lower level than his peers, and that Student’s cognitive skills negatively affected his ability to access the general education curriculum. Specifically, Student had difficulty attending to and learning new concepts, could not remain on task, was easily distracted, required continual clarification, modification, redirection, prompting, and a great deal of assistance to complete assignments. Also, Student’s one-on-one aide, Ms. Woodberry, credibly testified that Student encountered significant difficulty understanding the meaning of concepts, had difficulty concentrating, difficulty completing assignments, and required significant time and help in order to complete assignments. Consequently, Student had very low work production. These factors suggest that Student’s receipt of educational benefits in a general education setting was limited, at best. 13. Although Student argues that his academic performance in the general education setting has improved significantly since the April 8, 2010 placement offer, and, as such, has afforded him greater educational benefit, case authority requires that an IEP, including its offer of placement, be evaluated in terms of what was objectively reasonable at the time the IEP was developed. (See Adams, supra, 195 F.3d at p. 1149; Fuhrman, supra, 93 F.2d at p. 1041.) In other words, the placement offer must not be judged in hindsight. (Ibid.) Accordingly, Student’s current performance in his general education third grade class cannot be a consideration when determining whether the placement offered by District in April 2010 was appropriate. 14. Regarding the second Rachel H. factor, Student could receive a non-academic benefit of interacting with his peers, giving Student more opportunity to practice his socialization skills, as well as model behavior from typically developing peers. However, the third factor, specifically the effect Student’s full time presence would have on the teacher and children in the regular class, poses several problems. The evidence showed that Student was frequently disruptive. During Ms. Sonski’s 15-minute observation of Student in his general education classroom, Student blurted out approximately 15 times. In addition, Ms. Woodberry credibly testified that Student was often sent to the principal’s office as a result of his inappropriate behavior. Moreover, the evidence established that Student required a significant amount of attention, prompting, and redirection to start, remain on task, and complete classroom assignments. Student’s needs in these areas required the teacher to focus a significant amount of time and resources on Student, taking attention away from the other students in the class. Furthermore, according to the assessment reports completed by Mr. Vanek, and Ms. Sonski, Student also appeared to have no awareness of his size and strength, inadvertently hitting or bumping into others, posing an overall safety concern to the other students. 15. Finally, regarding the fourth Rachel H. factor, neither party introduced any evidence demonstrating the costs associated with educating Student in a general education setting versus a special education setting. Weighing the above factors, which shows that the only benefit to Student of a general education placement is social, demonstrates that a full time general education placement for academic classes would not be appropriate. 16. The evidence further showed that District offered Student an appropriate placement with mainstreaming to the maximum extent appropriate in light of the continuum of options. Specifically, District offered Student placement in a SDC designed for autistic students, where Student would remain in the SDC for all core subjects, approximately 63% of his school week, and then would mainstream into the general education setting for recess, lunch, assemblies, music, art, and field trips. The evidence showed that Student’s needs were too great to be addressed in the general education setting. Specifically, at the time of the IEP offer, the assessment reports, as well as the credible opinion of Mr. Vanek, showed Student required a setting with less external stimuli, and with more individualized classroom material than that found in a general education setting. A smaller environment, such as that offered in a SDC, was reasonably calculated to address Student’s academic and behavior needs, according to Mr. Vanek, because Student could learn to attend and listen better in a small environment. Also, with the high teacher to student ratio, staff in the SDC could implement strategies to develop Student’s skills to manage his disruptive behaviors, as well as his frustration when required to complete non-preferred tasks. 17. The Calvert SDC setting, as described by Ms. Fills, APEIS, appears consistent with the SDC program Mr. Vanek described as appropriate for Student. Specifically, Ms. Fills credibly testified that the Calvert SDC offered by District had a small group setting (six to seven students) for high functioning autistic children with pragmatic, social skills, and academic difficulties. The Calvert SDC, which included a special education teacher, an assistant, and a behaviorist, was designed for students to work on the same core curriculum as the general education class, but with modifications and accommodations. It also included behavioral interventions, such as charts, schedules, rewards, reinforcement of positive behavior, role playing, daily logs, and other activities to learn social boundaries and protocols. Although Student asserts he would have regressed in the Calvert SDC, he presented no evidence supporting this contention. Similarly, despite his contention that he would have emulated the poor behaviors of the other students in the class, Student presented no evidence describing these behaviors, or the likely impact these behaviors would have had on Student. 19. Student also failed to meet his burden of demonstrating that the District denied him a FAPE because the April 8, 2010 IEP did not offer related services in the form of Lindamood-Bell intervention to help remediate his reading comprehension deficits. As discussed in Legal Conclusion 3, above, related services/DIS are transportation and other developmental, corrective and supportive services as may be required to assist the child in benefiting from special education. Here, the evidence demonstrated that when looked as a whole, the District offered Student a program designed to address Student’s academic challenge in reading comprehension, by offering small group and individualized instruction in the Calvert SDC. Specifically, as Ms. Sonski established through her credible testimony and assessment report, Student, who had an overall below average composite score on his academic achievement test (i.e., KTEA-II), required a program that provided Student with an individualized and adapted curriculum, as well as continuous supervision for his academic support. Similarly, Mr. Vanek’s credible testimony and assessment report established that Student, who performed in the low average range on his cognitive test (i.e., CAS), required a program that provided individualized classroom material, and increased staff to implement academic strategies designed to improve Student’s academic performance. The Calvert SDC provided the program recommended by Ms. Sonski and Mr. Vanek, as established through the credible testimony of Ms. Fills. Specifically, the Calvert SDC, which included three staff members (i.e., a special education teacher, an assistant, and a behaviorist) and six to seven students, provided small group instruction where Student could learn an individualized curriculum, receive slower paced instruction presented at his ability level, as well as one-onone instruction. Moreover, the IEP team developed goals designed to address Student’s reading comprehension that could be implemented in the Calvert SDC. Specifically, the IEP team developed academic goals in the areas of reading comprehension, word analysis, and writing. Finally, Student produced no evidence suggesting that the program offered in the Calvert SDC lacked the ability to provide language, literacy, or other academic skills intervention.